Thanks to Louis in Sodwana for sending me a picture today of a Coral tree he planted in Gumby’s memory. This picture, my earlier post this week about coral and the fact that it’s been 8 months today since Jeremy was killed, made me think that today’s perfect topic would be to find out more about Coral trees. While I was writing out these facts, I noticed that a few of them made me smile, thinking about the type of person my brother was and what his passions and outlook on life were so I thought I’d share them too. 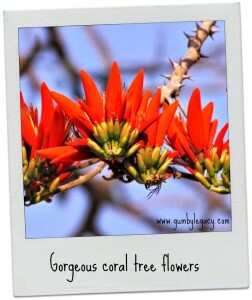 The proper name for coral trees is Erythrina and they are related to peas! I.e. they are a member of the legume family(Gumby was small, but not a pea!). 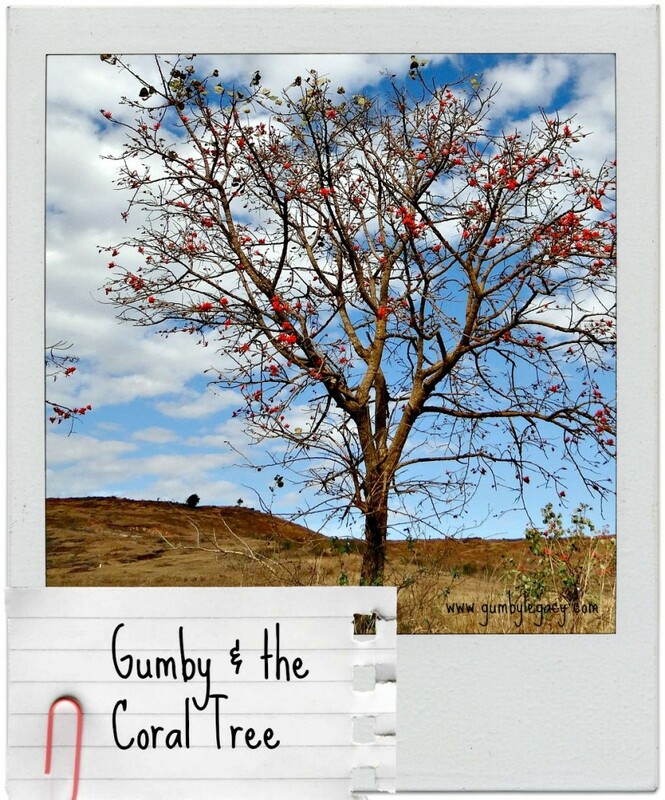 They are sometimes known as flame trees because the amazing blossoms range from subtle pale peach to brilliantly vivid orange-reds (Gumby just LOVED a fire! By himself, with mates or family, a beer and his guitar). They are tropical plants, happiest in warm regions (he hated the cold in the UK). Seeds are extremely buoyant with the ability to float for up to one year. They are also so tough that they pass through the digestive tracts of animals and birds, unharmed. 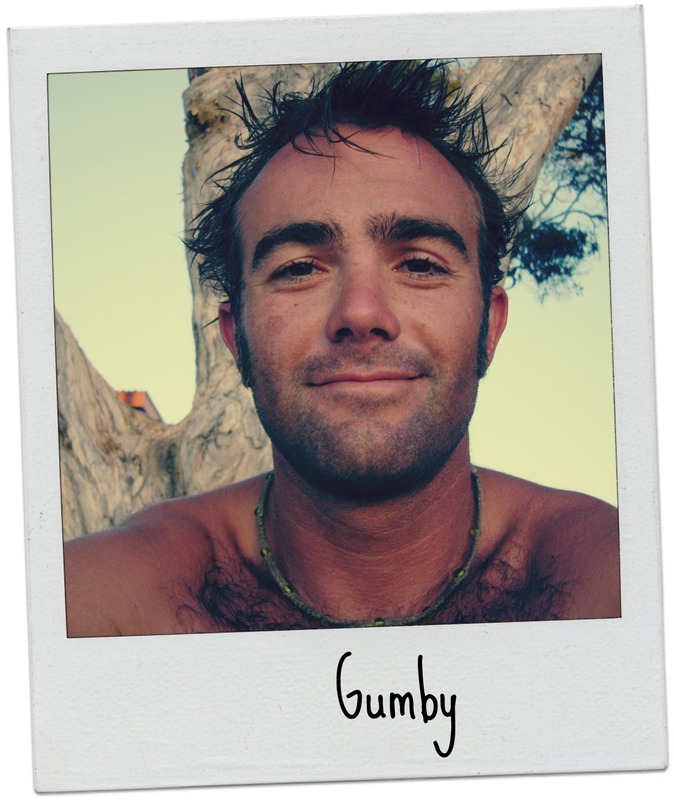 This means that they get tossed up from surf onto fertile tropical soils (as far as I’m aware, Gumby was never actually eaten by a bird or animal(!) but he did end up on many different shores where he grew up, adapted and became more beautiful). As long as conditions are right, they can adapt and evolve to take advantage of their environment (he always made the best of every situation he found himself in). 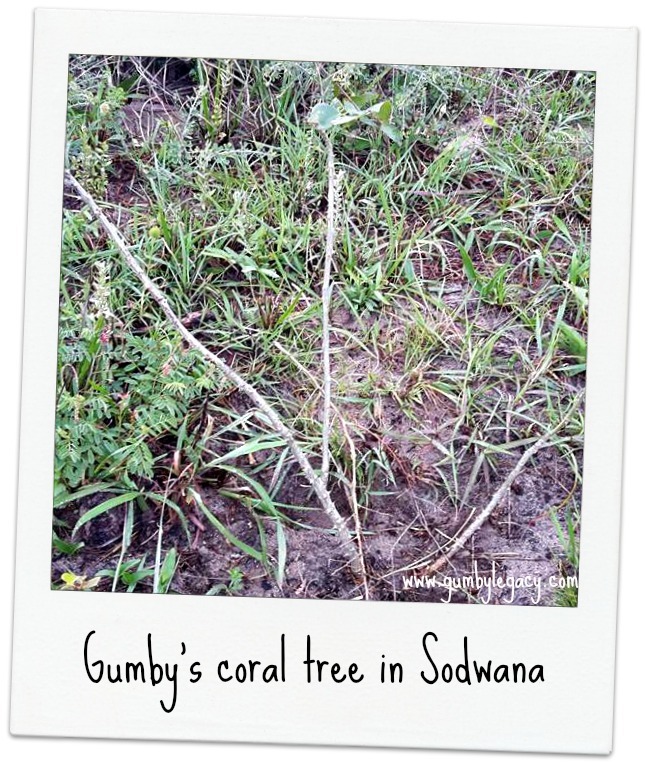 Stems may be smooth or spiky with small thorns, depending on how they have had to evolve (it wasn’t often shown but Gumby could have a temper!). Flowers are gorgeous, appearing in late winter so providing welcome colour and interest to the landscape (Gumby was always loud and noticeable, especially his laugh. Enough to make most smile even on the greyest winter day!). Hummingbirds are particularly attracted to them (the people he attracted, loved and enjoyed spending time with are all beautiful, different and special). Enough of the comparisons but I hope they made you smile too. Coral trees need very little water. Too much water causes the tree to grow too quickly and its soft wood can’t cope very well with this so it develops a weak limb structure. This can lead to breakage during strong winds or in the dry season when the weight of the tree can actually end up pulling it out of the soil. Prune the tree in spring to remove the heavier stems or any damaged material. This will help prevent limb loss and tipping over! The root zone can benefit from being covered with good organic mulch to give a few extra nutrients but the trees do not need fertiliser as they actually help to produce nitrogen which is really useful in tropical ecosystems and crop production as less synthetic nitrogen is needed. 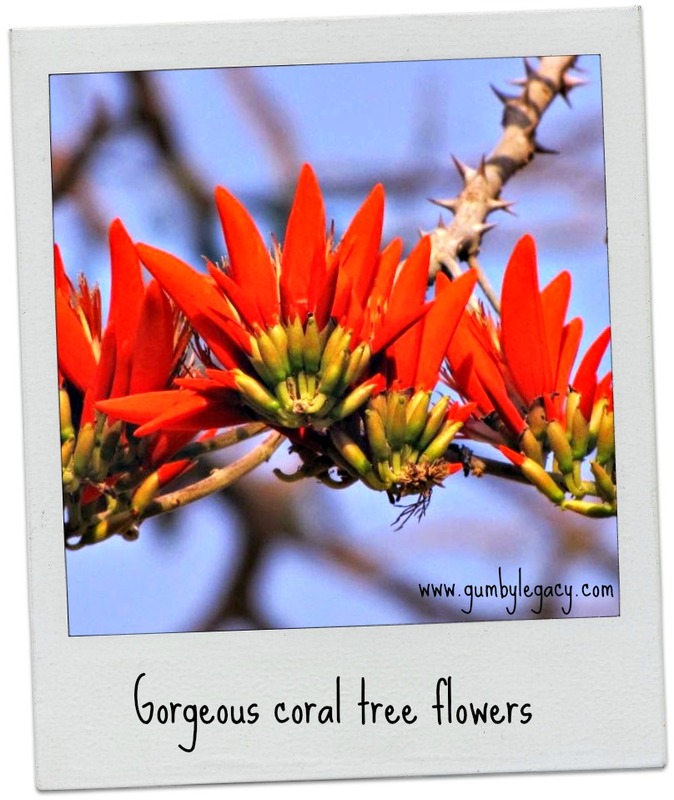 And finally, some uses for coral trees besides the fact that they are simply beautiful.